What do the fields under "API Status" mean? There's no way to change the Import Start Date, Seller ID, or Marketplace ID unless you disconnect your current marketplace and reconnect. Please contact us before you do this, as syncing your company again with a different date will can result in duplicate documents. You may first have to pause your synchronization before you're allowed to disconnect. 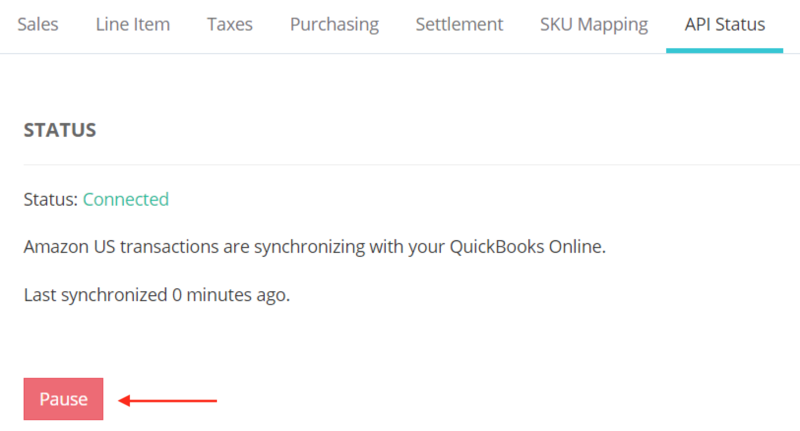 To Pause your marketplace data import, click on the "Status" tab and click on "Pause." You can also "Resume" your data import here if you have it paused. 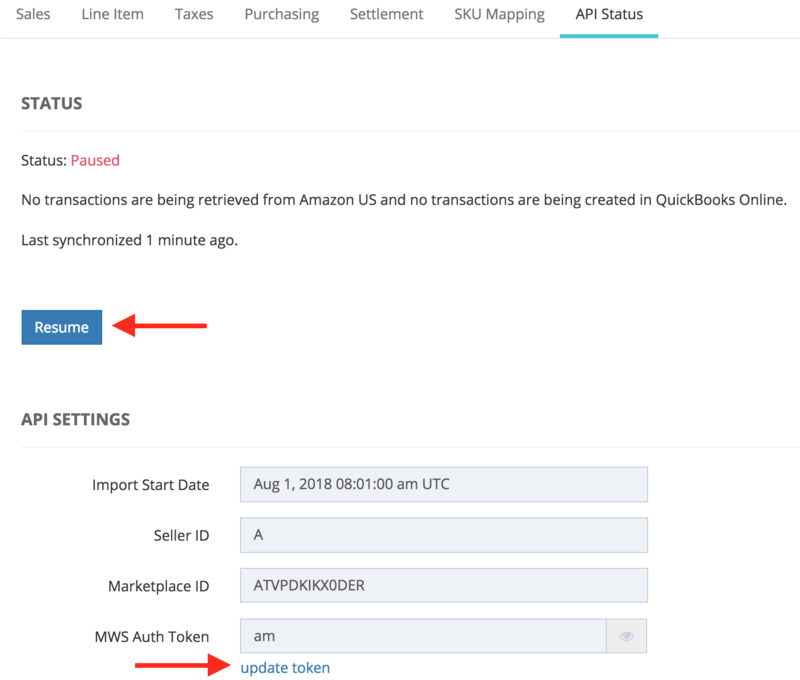 Click on "update token" and then paste your new MWS Auth Token. Click on "Update Token" to save the change. See where you can renew our Developer Permissions on Amazon.